Town End, Ossett in the 1950s. 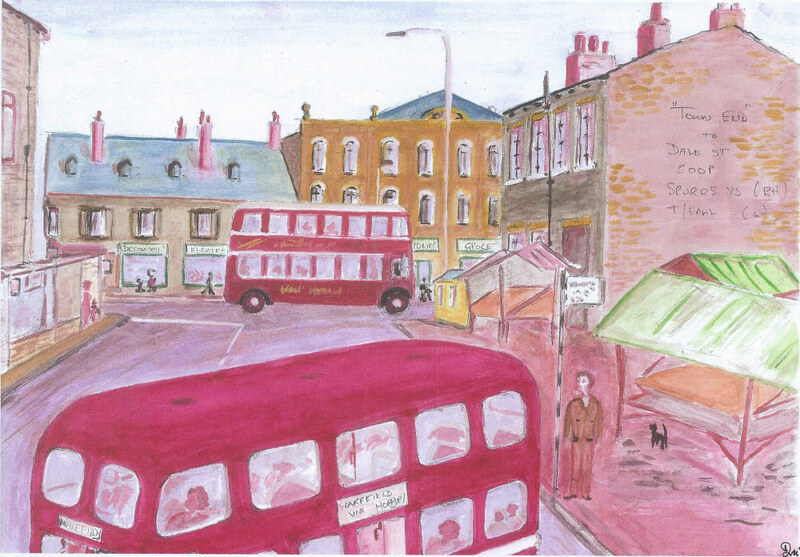 "Ossett In Transit" or the "Metro Centre" with the bus stop at the rear of Ossett Town Hall looking towards Co-Operative stores on Dale Street. Spurr’s Yard and the market stalls on the right.